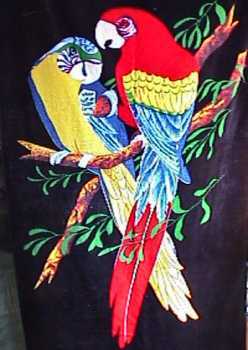 Loro Park is dedicated to parrots and protecting endangered species of parrots around the world. 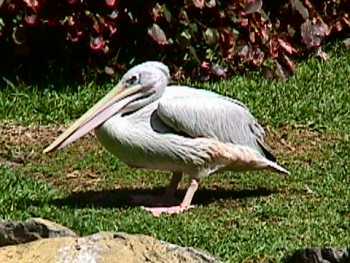 They have the largest collection of parrots and have a big breeding programme. We saw a show with trained parrots and lots of different kinds of parrots in cages around the park. Some parrots have escaped but have stayed in the park and nest in the palm trees. 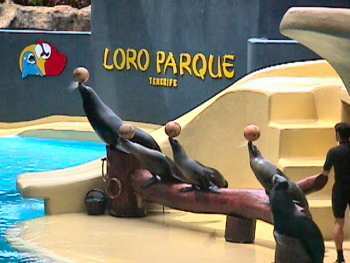 There are lots of other attractions in Loro Park. 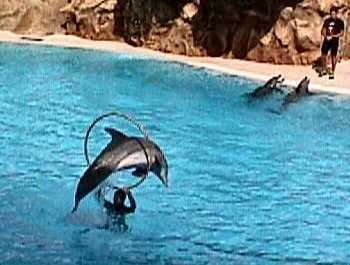 This is the dolphin show. 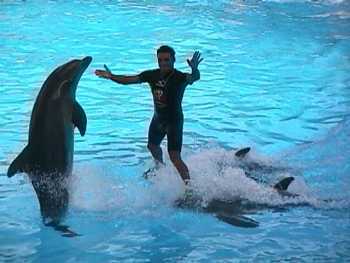 The trainer waterskiing on 2 dolphins while a third stands on its tail in front of him. 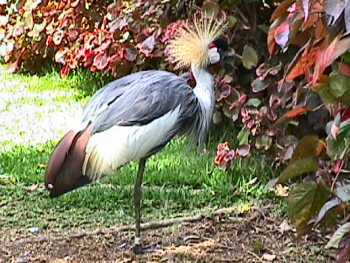 An African crowned crane. There were other cranes and 2 kinds of flamingos. The trained seal show was lots of fun. 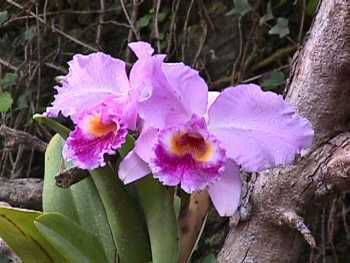 There was a lovely display of many kinds of orchids. There is a penguin house with several different kinds of penguins including emperor and Adelaide penguins. 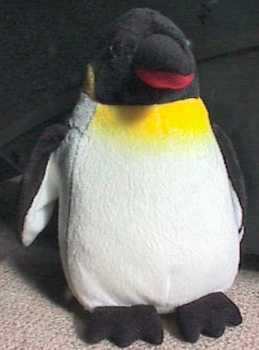 We bought Rory this stuffed penguin. The penguins live at Antarctic temperatures and it even snows regularly on them. Unfortunately it was a bit dim for my camera and flash photos were not allowed because it disturbs the birds. The Aquarium with a tunnel so you could watch the fish from below was super but also too dark to photograph. Kim, Rory, Annika and Jens got some photos in the summer so have a look at their Loro Park page. As I said, they do a lot of work to protect endangered species. 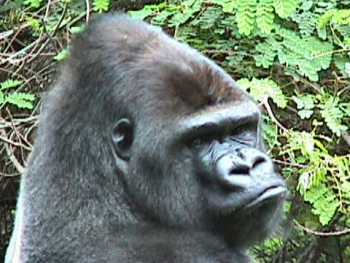 They have a group of mountain gorillas. This one posed nicely for the camera.